A member of a notorious robbery gang, identified simply as Frank, has escaped from police custody. Frank was reportedly arrested during a robbery at St. Patrick Quasi Catholic Parish, Obio Ndot, in the Oruk Anam Local Government Area of Akwa Ibom State. He was said to have been beaten and later handed over to the Ikot Uboh Police Post, under the Oruk Anam Police Division, last Tuesday. Frank was said to have escaped from the police cell on Friday through the roof. Punch correspondent gathered that the suspect’s gang had been terrorising Oruk Anam and its environs for months. Residents of Obio Ndot village told Punch correspondent on Monday that St. Patrick Quasi Catholic Parish, three weeks ago, was attacked by the same robbery gang, who made away with the money realised during the harvest service. One of the residents, Mr. Iwok Essien, said, “Last Tuesday, at about 12am, the robbers attacked the Catholic parish again. They scaled the fence from behind the church to enter the premises. “They did not know that after the first attack, the parish beefed up its security by engaging three additional security men because there was only one security man positioned at the gate the first time the gang robbed the parish. “When the robbers came last Tuesday, one of the security men raised the alarm. “Frank was caught, while others managed to escape. “The suspect was almost lynched, but the church intervened. Frank was later handed over to the police. 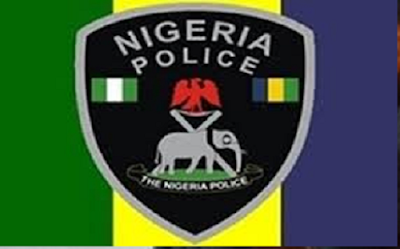 However, the state Commissioner of Police, Mr. Zubairu Muazu, said he contacted the Divisional Police Officer of the Oruk Anam Police Division who informed him through a text message that no armed robbery suspect escaped from the station. The DPO’s message, which the CP forwarded to journalists, read, “Good afternoon, sir, no armed robbery suspect escaped from the Oruk Anam Police Division. “Rather, there was a case of stealing of aluminium zinc at the Ikot Uboh Police Post in which the arrested suspect was said to have escaped from custody on August 28, 2017.